Hurricane Matthew path caused substantial damage in September and October 2016. The hardest hit area was southwestern Haiti, with eastern Cuba, western Grand Bahama Island and South Carolina and Florida in the U.S. also impacted. Overall, 1,000 deaths were attributed to the hurricane with approximately 500 of those deaths impacting Haiti directly. As a result, Hurricane Matthew was the deadliest Hurricane along the Atlantic since 2005’s Hurricane Stan made landfall. Hurricane Matthew’s intensity moved from a Category 1 to a Category 5 hurricane by the time all was said and done. Here’s a timeline of Matthew’s progression in the fall of 2016. Matthew began as a tropical wave that originated off the west coast of Africa, traveling west across the Atlantic Ocean. While moving across the Atlantic Ocean, the tropical wave gained momentum and transitioned into a tropical storm near the eastern edge of the Caribbean Sea in the Windward Islands. At this point, the storm was named Matthew and deemed the 13th tropical storm of 2016. Tropical Storm Matthew developed into a minimal hurricane during the afternoon with 75 mph peak winds. The center of the storm traveled west, just off the coasts of Colombia and Venezuela. As the tropical storm intensified quickly, peak winds strengthened to 100 mph in just nine hours on this day. Six hours later, peak winds increased to 115 mph and then topped 140 mph. Peak winds stemming from Matthew reach 160 mph and the storm’s eye is recorded approximately 100 miles off the coast of Colombia. The intensification moves rapidly transitioning from a tropical storm to a Category 5 hurricane, making history as the fastest transition on record. Hurricane Matthew’s intensity weakened within a few hours, but still maintained 140 mph peak winds as it traveled across the Caribbean Sea. Hurricane Matthew’s peak winds diminished for a short while as it turned northwest, but as it approached Haiti, it escalated with 140 mph peak winds. 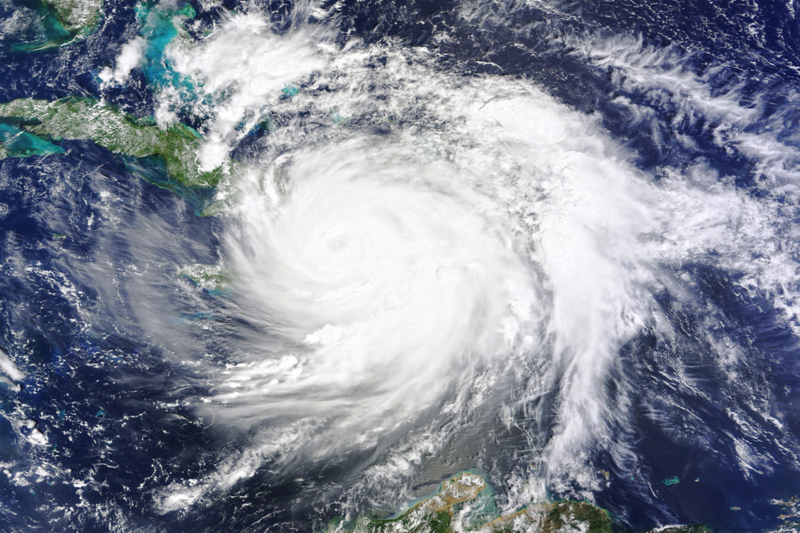 On this day, Hurricane Matthew – classified as a Category 4 – made landfall in eastern Cuba and Haiti. The most damage and devastation resulted from the heavy rainfall and fierce winds. Reportedly, 80 percent of the buildings in Haiti were destroyed, crops were devastated and many towns and villages experienced flooding with several feet of water. In preparation for a landfall on the east coast of the Florida peninsula, officials begin closing businesses and government organizations, including the Kennedy Space Center, located in Cape Canaveral, Florida. Hurricane Matthew crossed the Bahamas with winds topping 145 mph. The islands experienced massive flooding and more than 100 people had to be rescued in New Providence. The rapid progression of the hurricane prompted warnings in both Florida and South Carolina as Matthew approached West Palm Beach, Florida by mid-afternoon. The warnings prompted the closing of Walt Disney World in Orlando, Florida and tropical birds in Florida could not escape the storm’s eye. Residents in South Carolina and Georgia were encouraged to evacuate as the hurricane gained momentum. The storm, though, slowed in progression and by 8 p.m. EST, the eye was located 75 miles from the shore of West Palm Beach and winds of 130 mph were recorded. The eye of the storm, though, remained offshore as it passed Vero Beach. Hurricane Matthew’s eye moved along the Florida coast, but remained offshore. The storm’s surge, though, caused high tides in St. Augustine, Florida, by the afternoon, sending water over the city’s seawall. Ormond Beach and Jacksonville, in Florida, also experienced flooding as a result of the high tides. Florida was spared from catastrophic damage, but the winds and flooding attributed to five deaths in the state. Approximately 1 million Florida residents were without power as the 110 mph winds by Friday afternoon as Matthew gained momentum and was designated a Category 2. Savannah, Georgia experienced significant flooding as Hurricane Matthew’s eye traveled northward off the Georgia coast. Savannah’s Saint Simon Island also experienced flooding resulting from the storm surge and parts of Interstate 95 were completely under water. Around 11 a.m., the eye of Hurricane Matthew comes ashore approximately 30 miles northeast of Charleston, South Carolina. The strong wave action passed Folly Beach and moved to Myrtle Beach, destroying historic landmarks. The storm surge of Hurricane Matthew resulted in massive flooding in Myrtle Beach as the storm weakened to a Category 1 with reported winds of 75 mph. By mid-afternoon, the eye of Hurricane Matthew passes through Wilmington, North Carolina and saturated the ground with approximately 15 inches of rainfall. Rivers and creeks in the state quickly flooded, leaving many cities underwater. Rescues began in Fayetteville and Windsor as the Cashie River floods. Flooding from the storm surge continue to cover North Carolina’s outer banks. Downtown Wilmington was soon underwater as the eastern part of the state experienced massive flooding, prompting the close of portions of Interstates 40 and 95. Flooding was also reported in areas of Norfolk, Virginia. Matthew is now deemed a post-tropical storm by the National Hurricane Center as it moves from the U.S. east coast and travels toward Cape Hatteras. The effects of Hurricane Matthew still affect cities along the North Carolina border. Most notably, Nichols, North Carolina experiences flooding from the Lumbar River. More than 1,500 people were stranded by flooding. Approximately 130 miles inland, in Moore County, an earthen dam began to fail. Search and rescue efforts become a top priority in Haiti with more than 1,000 deaths reported as a result of Hurricane Matthew. The lack of clean drinking water in the country causes concern and 90 percent of crops were destroyed. Haiti is deemed 90 percent destroyed. As residents of North Carolina cope with floodwaters, approximately 39 deaths in the U.S. were attributed to the storm, with 20 of those deaths in North Carolina. The impact of Hurricane Matthew spread throughout Haiti, the Caribbean Sea and the U.S. While later reports deem Matthew as “under-rated,” the devastation was still significant. Hurricane Matthew produced heavy rains that ultimately led to flooding and landslides across the island of St. Vincent. More than 25 people were evacuated in nearby Buccament Bay when the Hermitage River rose and overtopped the banks. All water service was cut off as a result. When winds hit in excess of 60 mph, St. Lucia experienced downed power lines and trees, leading to a lack of power. Several homes and roads were also impacted by flooding and landslides. More than 85 percent of farms reported losses with significant damage to the banana crop. Strong winds, gusting up to 89 mph, in Martinique impacted the power grid, leaving approximately 55,000 residents without electricity. 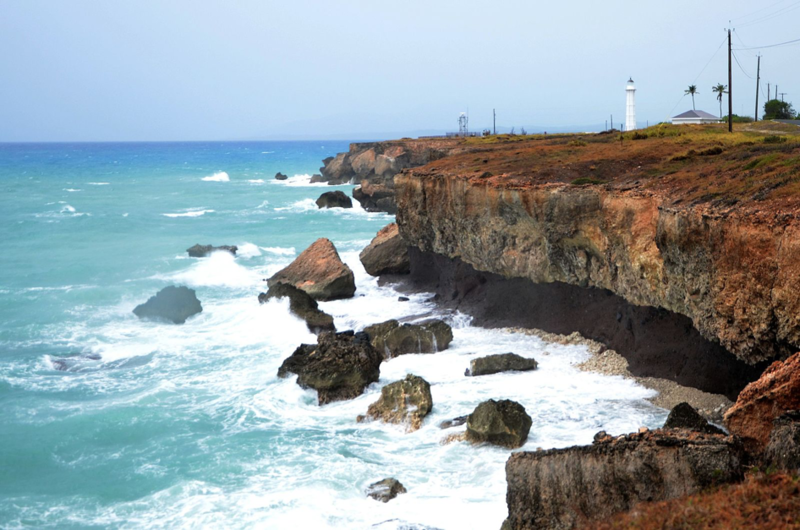 Although Hurricane Matthew’s effects were not as significant in the ABC Islands and South America, flooding was substantial in Aruba and Curacao. Widespread flash flooding impacted the Guajira Peninsula of Colombia, leading to one drowning death. 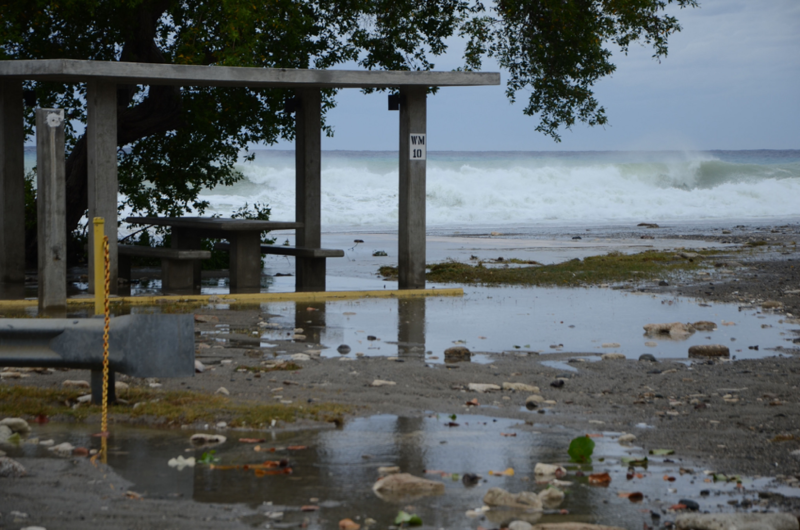 Large swells caused the most damage along the coastal areas, prompting evacuations in Manaure and Tucurinca. More than 73,000 residents were affected in some way by flooding or high winds. Haiti was, by far, the most impacted area. Large swells resulting from Hurricane Matthew triggered flooding in several towns. Once Matthew struck the Tiburon Peninsula, gaining momentum as a Category 4 hurricane, wind gusts were estimated at 107 mph. Flooded roads and bridges left residents stranded and homes were flattened. The storm’s official death toll in Haiti was 546, but officials estimate that the effects from Hurricane Matthew resulted in more than 1,000 deaths. 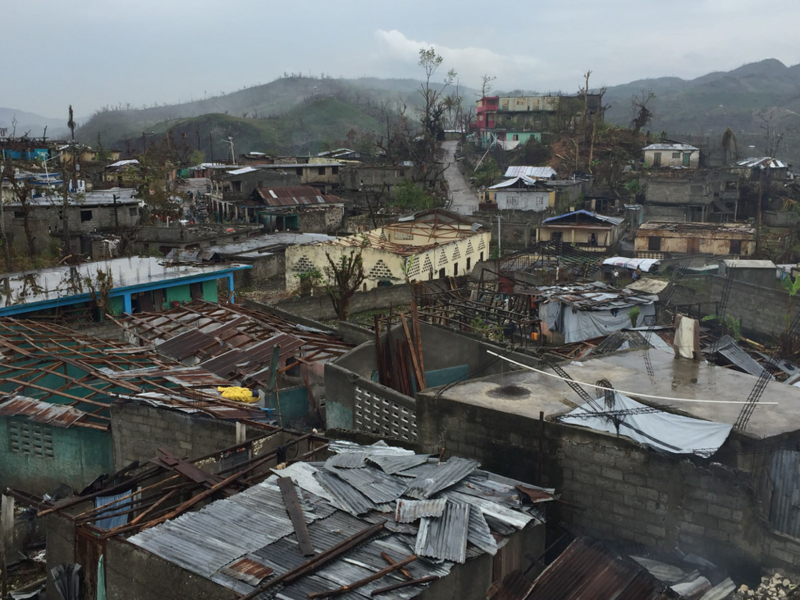 Haiti was impacted by damages estimated at $1.9 billion and more than 2 million people were affected by Hurricane Matthew with approximately 175,000 left homeless. While Hurricane Matthew made landfall in the easternmost province of Cuba, the storm surges, violent winds and flooding caused the most devastation. Buildings were completely gutted in Baracoa and a Majayara communications tower collapsed. A bridge stretching across the Toa River was destroyed, contributing to an estimated $2.58 billion in damages, most occurring in the Guantanamo Province. The Bahamas experienced a direct hit from Hurricane Matthew, leading to extensive damage in the Grand Bahama. Downed trees and power lines made roads impassable as winds wreaked havoc. More than $600 million in damage was reported as a result of Hurricane Matthew. Hurricane Matthew caused damage and devastation in five U.S. states, including Florida, Georgia, North Carolina, South Carolina and Virginia. The coasts of Florida and Georgia were significantly impacted by Hurricane Matthew with peak surges topping 9 feet in Fernandina Beach, Florida. More than one million people lost power in Florida and flooding and sand dune damage was significant in Jacksonville. Winds reached up to 80 mph near Kennedy Space Center with gusts of 136 mph near the top of the tower. Approximately 250,000 residential and commercial buildings and structures were without power in Georgia after Hurricane Matthew passed. In addition, roads blocked access points to St. Simons’ Island. 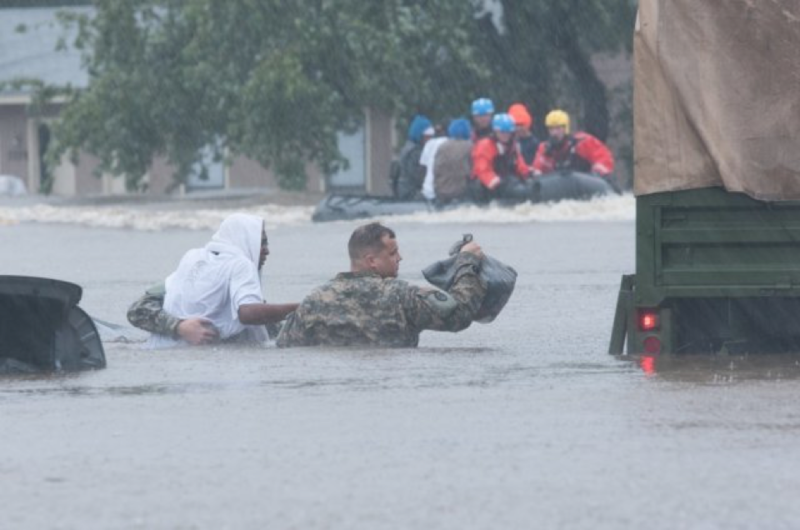 Significant flooding in South Carolina resulted in loss of power to 600,000 residents. Several areas, including Hilton Head Island, were impacted by power, sewer and water outages. More than 120,000 trees fell as Hurricane Matthew swept through the Carolinas, prompting closures of sections of interstate 95. The Lumber River rose to 24 feet near the city of Lumberton and the Neuse River topped more than 29 feet. The devastation and aftermath of Hurricane Matthew prompted both federal and state governments to respond with help for the city and victims. Volunteers from the American Red Cross and first responders from across the U.S. led efforts to tend to victims and rescue efforts as flooding mounted. The efforts to rebuild both Haiti and impacted states of the U.S. is ongoing, still several years later. Both U.S.-based organizations and international organizations have responded to the call to help rebuild areas affected by Hurricane Matthew. Regardless of what stage of recovery you are in after facing the devastation of Hurricane Matthew, Complete, Inc. can help. As a licensed appraisal/umpire claims firm in Gulf Breeze, we offer industry-leading expertise to help you navigate appraisals and find alternate dispute resolution services. Contact us today to learn more about how we can assist you with property appraisal and Hurricane Matthew relief.